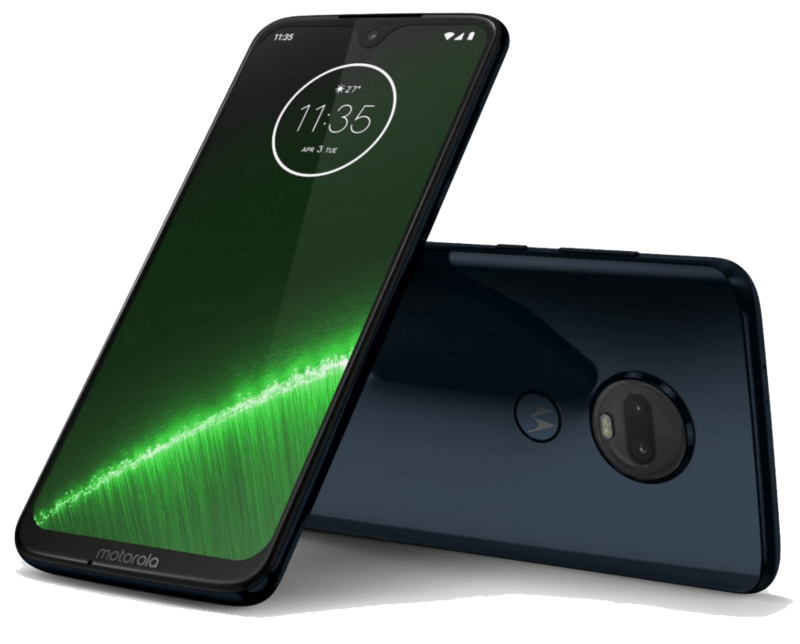 Motorola has announced the 7th generation of the Moto G series phones that includes the Moto G7 Plus, Moto G7, Moto G7 Power and Moto G7 Play in an official event in Brazil. The new devices come with glass back design and have a water-repellent design that protects the phones against accidental spills, sweat, and light rain. Amongst these, the Moto G7 Plus comes with Snapdragon 636 processor while the others are powered by a Snapdragon 632 processor. The devices support TurboPower charging with G7 Power featuring a 5000mAh battery. 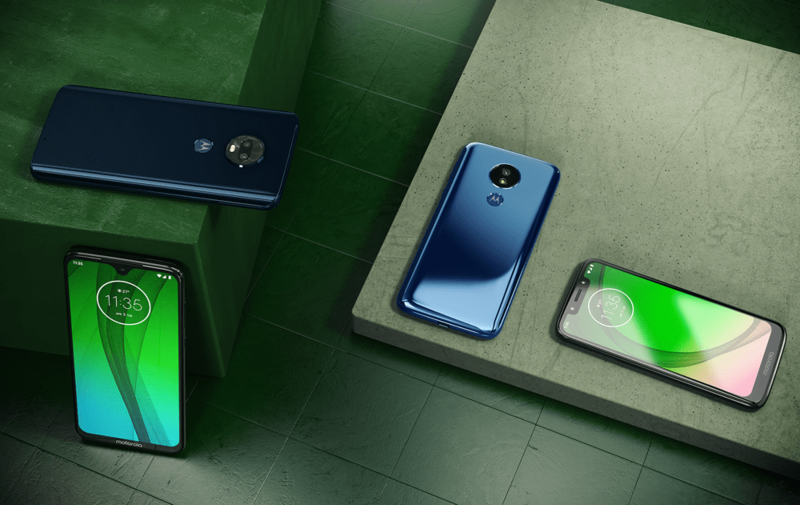 The Moto G7 Plus comes with a price tag of €299.99 (around $340) and will be available from today in Brazil and Mexico with Deep Indigo and Viva Red colour options. It will be available in Europe from mid-February and in the coming months in Australia and in other countries in Latin America. The Moto G7 is priced at $299 and will be available from today in Brazil and Mexico with Ceramic Black and Clear White color options. It will be available from mid-February in Europe and later in the Asia Pacific, Latin America and North America countries. 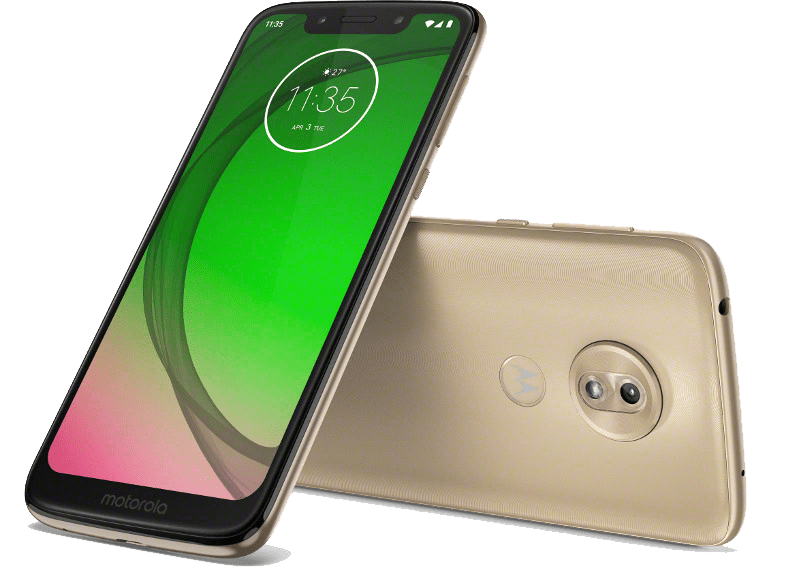 The Moto G7 Power is priced at $249 and will be available from today in Brazil and Mexico and will be available from mid-February in Europe and later in the Asia Pacific, Latin America and North America with Marine Blue colour options. 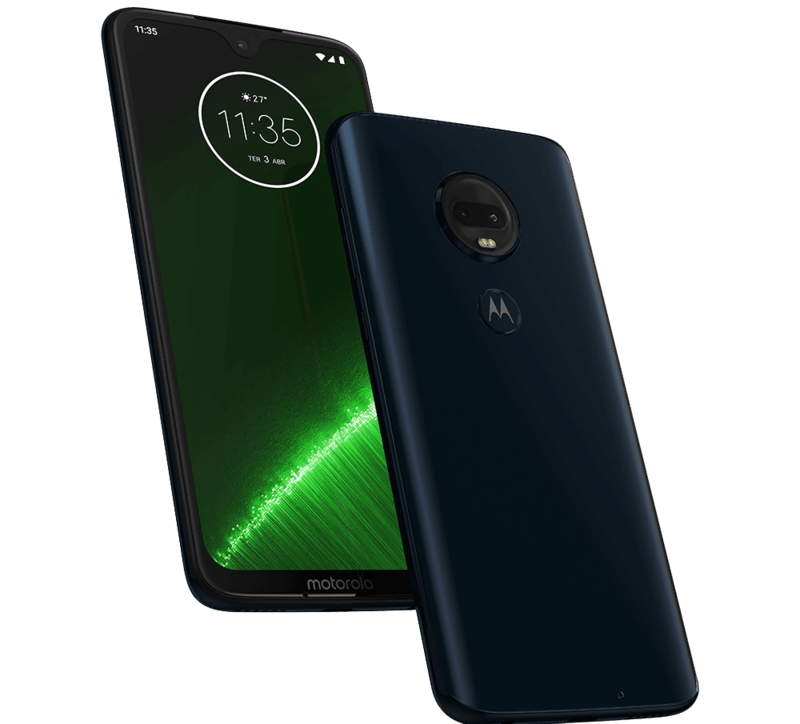 The Moto G7 Play is priced at $199 and will be available from today in Brazil and Mexico and will be available from mid-February in Europe and later in Latin America and North America with Deep Indigo and Starry Black colour options. The Moto G7 Plus features a 6.2-inch Full HD+ 19.5:9 aspect display with Corning Gorilla Glass 3 protection and 2270 x 1080 pixels resolution and is powered by a 1.8GHz Octa-Core Snapdragon 636 14nm Mobile Platform with Adreno 509 GPU. It comes with 4GB of RAM with 64GB internal storage that is expandable up to 512GB with microSD card slot. It runs on the Android 9.0 (Pie) OS out of the box and comes with Dual SIM support. It comes with Water-repellent P2i coating. It has a dual rear camera with a 16-megapixel camera with Dual LED flash, f/1.75 aperture, 1.22um pixel size along with an OIS secondary 5-megapixel camera with f/2.2 aperture. It also has a 12-megapixel front-facing camera with f/2.0 aperture, 1.25um pixel size. It has a 3,000mAh battery with 27W Turbocharging and supports Dual 4G VoLTE, WiFi 802.11 ac (2.4GHz / 5GHz), Bluetooth 5, GPS, USB Type-C, 3.5mm audio jack, Dolby Audio tuned stereo speakers. It has a rear-mounted fingerprint sensor. It measures 157 x 75.3 x 8.3 mm and weight 176 grams. 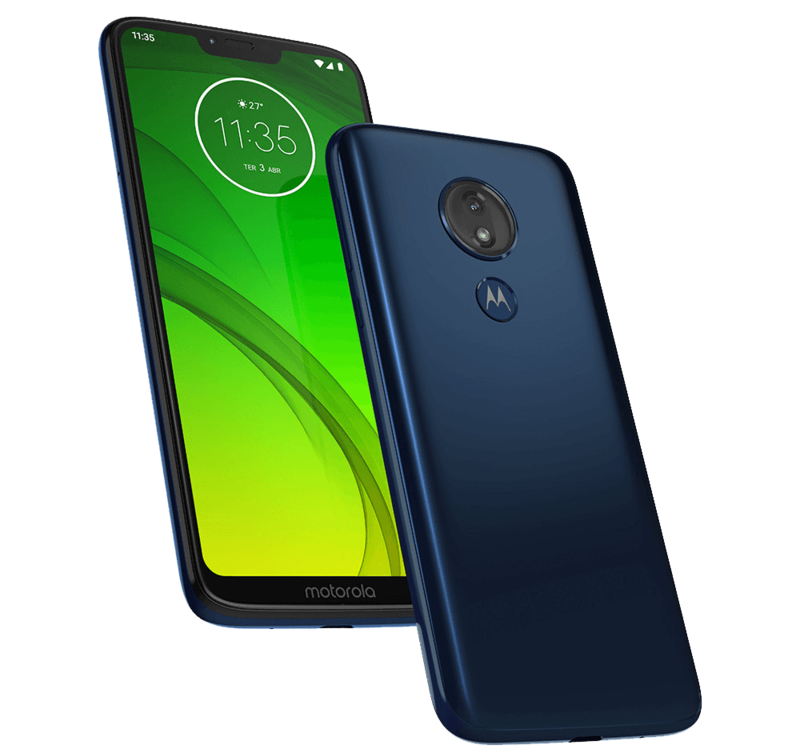 The Moto G7 features a 6.2-inch Full HD+ 19.5:9 aspect display with Corning Gorilla Glass 3 protection and 2270 x 1080 pixels resolution and is powered by a 1.8GHz Octa-Core Snapdragon 632 14nm Mobile Platform with Adreno 506 GPU. It comes with 4GB of RAM with 64GB internal storage that is expandable up to 512GB with microSD card slot. It runs on the Android 9.0 (Pie) OS out of the box and comes with Dual SIM support. It comes with Water-repellent P2i coating. It has a dual rear camera with a 12-megapixel camera with Dual LED flash, f/1.75 aperture, 1.22um pixel size along with an OIS secondary 5-megapixel camera with f/2.2 aperture. It also has an 8-megapixel front-facing camera with f/2.0 aperture, 1.25um pixel size. It has a 3,000mAh battery with 15W Turbocharging and supports Dual 4G VoLTE, WiFi 802.11 ac (2.4GHz / 5GHz), Bluetooth 5, GPS, USB Type-C, 3.5mm audio jack, Dolby Audio tuned stereo speakers. It has a rear-mounted fingerprint sensor. It measures 157 x 75.3 x 8.3 mm and weight 176 grams. The Moto G7 Power features a 6.2-inch HD+ 19:9 2.5D curved glass display with Corning Gorilla Glass 3 protection and 1570×720 pixels resolution and is powered by a 1.8GHz Octa-Core Snapdragon 632 14nm Mobile Platform with Adreno 506 GPU. It comes with 3GB of RAM with 32GB internal storage that is expandable up to 512GB with microSD card slot. It runs on the Android 9.0 (Pie) OS out of the box and comes with Dual SIM support. It comes with Water-repellent P2i coating. It has a 12-megapixel rear camera with LED flash, f/2.0 aperture, 1.25um pixel size and has an 8-megapixel front-facing camera with f/2.2 aperture, 1.12um pixel size. It has a 5,000mAh battery with 15W Turbocharging and supports Dual 4G VoLTE, WiFi 802.11 ac (2.4GHz / 5GHz), Bluetooth 5, GPS, USB Type-C, 3.5mm audio jack, Dolby Audio tuned stereo speakers. It has a rear-mounted fingerprint sensor. It measures 160.83 x 76 x 9.4 mm and weight 198 grams. The Moto G7 Play features a 5.7-inch HD+ 19:9 2.5D curved glass display with Corning Gorilla Glass 3 protection and 1512×720 pixels resolution and is powered by a 1.8GHz Octa-Core Snapdragon 632 14nm Mobile Platform with Adreno 506 GPU. It comes with 2GB of RAM with 32GB internal storage that is expandable up to 128GB with microSD card slot. It runs on the Android 9.0 (Pie) OS out of the box and comes with Dual SIM support. It comes with Water-repellent P2i coating. It has a 13-megapixel rear camera with LED flash, f/2.0 aperture, 1.12um pixel size, PDAF and has an 8-megapixel front-facing camera with f/2.2 aperture, LED flash. It has a 3,000mAh battery with 10W rapid charging and supports Dual 4G VoLTE, WiFi 802.11 ac (2.4GHz / 5GHz), Bluetooth 5, GPS, USB Type-C, 3.5mm audio jack, Dolby Audio tuned stereo speakers. It has a rear-mounted fingerprint sensor. It measures 148.71 x 71.5 x 8.09 mm and weight 168 grams.